Barclays are unveiled as the title sponsor of The FA Women’s Super League. 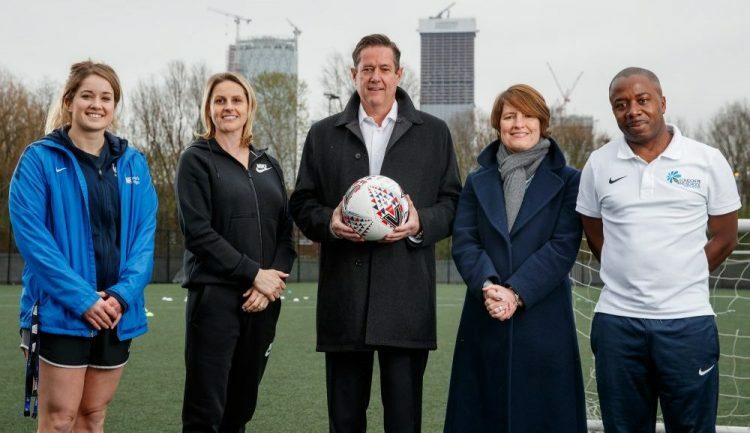 Chief Executive of Barclays Jes Staley, alongside FA Director of the Women’s Professional Game Kelly Simmons MBE and Ex-England and Arsenal footballer Kelly Smith join students from Bacon’s College in London. Students from Bacon’s College in London. 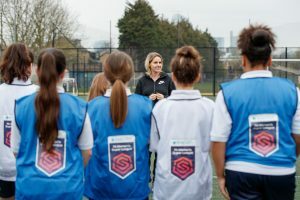 Ex-England and Arsenal footballer Kelly Smith join students from Bacon’s College in London. 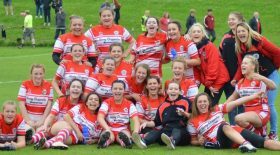 The partnership will also see the introduction of an annual £500,000 prize fund for the league, active as of the 2019/20 season and distributed based on final league position. 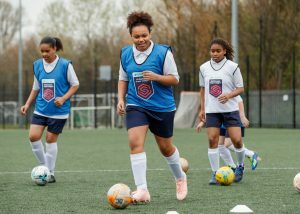 You can find more information on women’s football and FA Women’s Super League here.